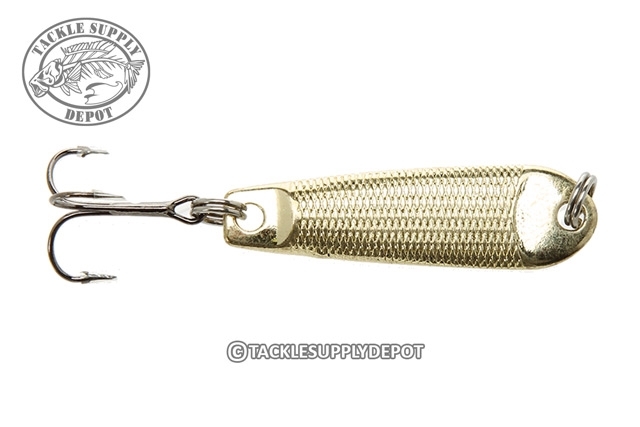 When targeting suspended fish the TSD Tungsten Flicker Flash Jigging Spoon is excellent for imitating a small baitfish flickering through the water column. Ideal for deep water jigging, trolling or ice fishing the TSD Tungsten Flicker Flash Jigging Spoon will catch the attention of an array of fish species. More dense than lead and offering extreme sensitivity the TSD Tungsten Flicker Flash Jigging Spoon's downsized profile allows for a faster sink rate to get to the target depths with ease. Matched with a single super sharp treble at the rear and quality split rings to tie off to. Available in an array of sizes perfect for various depths as well as multiple fish species. The spoon is nice but the hooks are horrible.